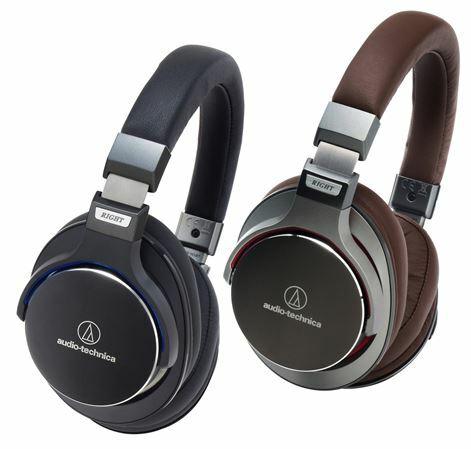 Shop Audio-Technica ATH-MSR7 SonicPro Over-Ear Headphones from AMS with 0% Interest Payment Plans and Free Shipping. The phones are a lighter than others. Throw some Phil Collins "Easy Lover" on and the Drums sound like they are in the room with you! You hear a popping snare drum! That detail in the music is great! Love them! I love the color combination on mines with the red and brown, the quality of the highs and lows is mind blowing to say the least; and the price for these amazing headphones is great compared to other well known brands. I use them for school, for production on Logic Pro X and mixing vocals as well, so they are an amazing product for all your needs. I bought these headphones on 1/8/18, b/c of all the + reviews I read. Most of them were positive except for the ones that mentioned the headband being uncomfortable. After wearing them for 5-10 mins, I realized this to be true. I placed them on the box they came in for 2 days to loosen the clamping force but they never became comfortable. I called customer service to set up a return, one rep told me I could return them, another told me I couldn't return once the box was open due to "unsanitary reasons". (The box wasn't even factory sealed when they arrived but I looked past that) I've worn these headphones TWICE since their purchase date, for less than 10 mins each time. They are uncomfortable and unfortunately, can not be returned. $200 WASTED.. My advice.. DO NOT BUY headphones from American Musical without trying them on in store 1st. Otherwise you may be stuck with a product you can't/won't use. I love these headphones, sound great.